We are proud to receive again the work of Australian artist Philip Sulidae. 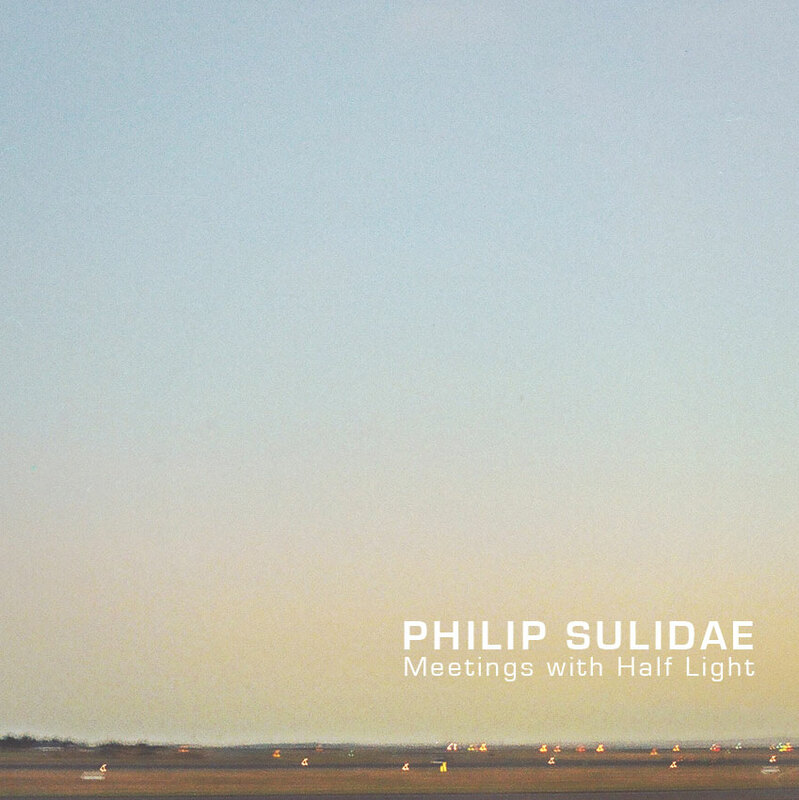 After his first release in Audiotalaia (Southwest) Sulidae presents "Meetings With Half Light" a 5 track EP in which we can find a beautiful gathering of drones, soundscapes and textures. As always the consistency of Sulidae's work can be seen widely on this 31st release on the label. Sulidae performs here with accuracy and solemnity trying one more time to build a sound space always referring metaphorically to experienced situations confronting nature and landscape. It's interesting to remark the combination of electronic drones and field recordings. Sulidae is a composer that plays with multiple layers of sound textures building a slow pace in which the scenes and sensations are appearing in front of you as if the weather were changing slowly. Again this is a perfect example of ambient music ready to be heard outdoors, on a top of a hill expecting the sunset to take off. All tracks arranged and produced by Philip Sulidae. Recorded in Autumn 2010, with field recordings, organ and sampler. "When an electronic artist labels their music as Non-Music and has releases on Audiotalaia and Audio Gormet is their any doubt that I’m going to like their work. I mean, the artist had me a Non-Music. Australian Philip Sulidae has been actively releasing electronic music since 2006 on a variety of CD-R labels. But luckily for me, he’s had two recent releases: Meetings with Half Light (Audiotalaia) and Hidden and Tied (Audio Gourmet). Meetings with Half Light was released in late spring of this year is a heavy mixture of field recordings and drones. Coming in at less than 30 minutes, this 5-track EP in entrancing and surprisingly beefy — I mean beefy in that for only half-an-hour, Meetings with Half Light has much substance than many hour-long albums. Sulidae is successful throughout the album in combining field recordings with sculptured drones and other sounds for work that is absolutely memorizing. This has been a work that I have been listening to throughout the summer, but haven’t gotten around to writing about it. Just because the review is late, does not make this any less of an album. Meetings with Half Light was Sulidae’s second release on Audiotalaia, the first being May 2009?s Southwest. The August release Hidden and Tied is not just simply a continuation of Meetings with Half Light.The first track, “Autumn in Town”, tells us this with its deeper, darker and bassier(?) drones. “Autumn in Town” seems quite appropriate these days to listen to as summer slips away. Though there is the mixing of field recordings and drones throughout this short EP, the “feeling” I get is that the field recordings play less of an importance than they did in Meetings with Half Light. The music is both beautiful and involved, worth your time to download and listen to." Meetings At Half Light by Phillip Sulidae is licensed under a Creative Commons Reconocimiento-NoComercial-CompartirIgual 3.0 Unported License.